If you want to document the history of a food mecca like Houston, it makes sense to focus on its restaurants. That’s the lens through which culinary enthusiasts Christiane Galvani ’87 and her husband, Paul, explore the city’s heritage. 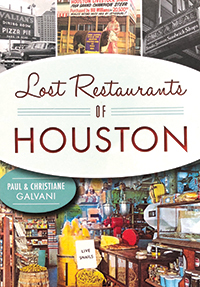 “Lost Restaurants of Houston” profiles 24 restaurants that played a key role in Houston’s cultural evolution — and it serves up some fascinating trivia tidbits along with well-loved recipes. 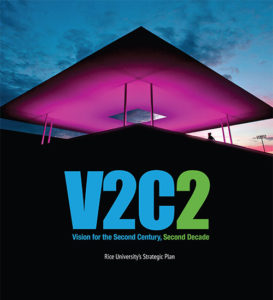 We’ve excerpted a few of its foodie findings here. Houston’s first Mexican restaurant: The appropriately named Original Mexican Restaurant, which opened on Fannin Street in 1906. As the Galvanis note, ethnic restaurants are as old as the city itself. “In the very early days of Houston, tamale vendors roamed the streets of downtown, and chile stands could be found around Market Square,” they write. In 1899, Houston was home to two French restaurants, six chile stands and nine Chinese restaurants. The grill that fueled the civil rights movement: Faurice and Jessie Prince got into the restaurant business after Jessie grew tired of having to go to the back of a local ice cream parlor to get a cone. They opened The Groovey Grill across the street from Texas Southern University in 1947, when segregation was in full force. As the Galvanis write, “It was one of the few places where African-Americans could eat out without fear of intimidation or being threatened.” Their soul food fueled protestors during the sit-ins of the 1960s and became so legendary that it drew celebrities including Muhammad Ali, Jackie Wilson and former President Lyndon B. Johnson. 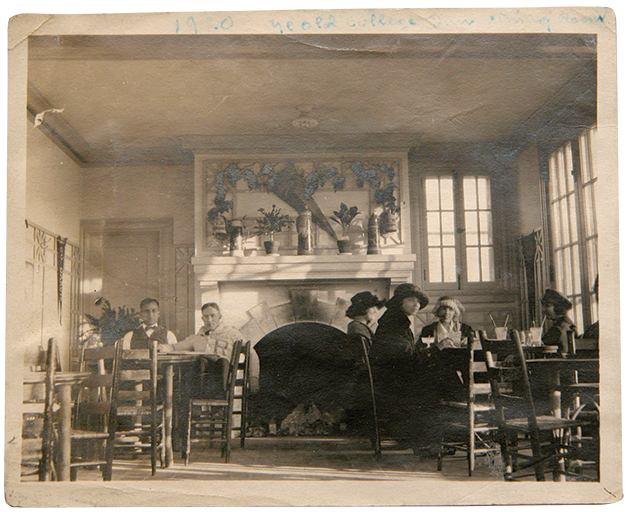 First restaurant to serve Owls: Ye Old College Inn, on Main Street in what is now the Texas Medical Center, was a mainstay for the Rice community, especially athletes, from 1920 until it closed in 1978. Well-known Rice players and coaches burnished their names into one of the restaurant’s heavy wooden tables; the “Coaches’ Table” is preserved today in the Owl Club, above Rice Stadium’s south end zone. Most resilient restaurant type: Burger joints — of 46 Houston restaurants that are still in business after more than 50 years, nine specialize in hamburgers. They include Champ Burger (opened in 1963), Someburger (1955) and Cream Burger (1946). “I’m not going to say you can’t go wrong with burgers, but it appears it’s harder,” Paul says.